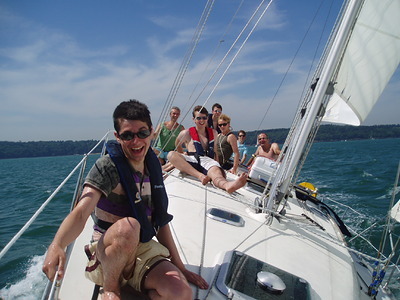 This course is essential preparation for the RYA Day Skipper Practical Course. You do not need to have had any formal training in navigation or sailing to successfully complete this course. Electronic navigation including the use of chartplotters and GPS. On successful completion you will have enough knowledge to navigate around familiar waters by day and be ready to go for your Day Skipper Practical. Towards the end of the course you will be given two assessment papers to complete, the first one being a general paper covering collision regulations, buoyage, pilotage etc., and a second covering chartwork. RYA course materials will be provided. You will also need a set of plotting tools. We can supply these for £25.